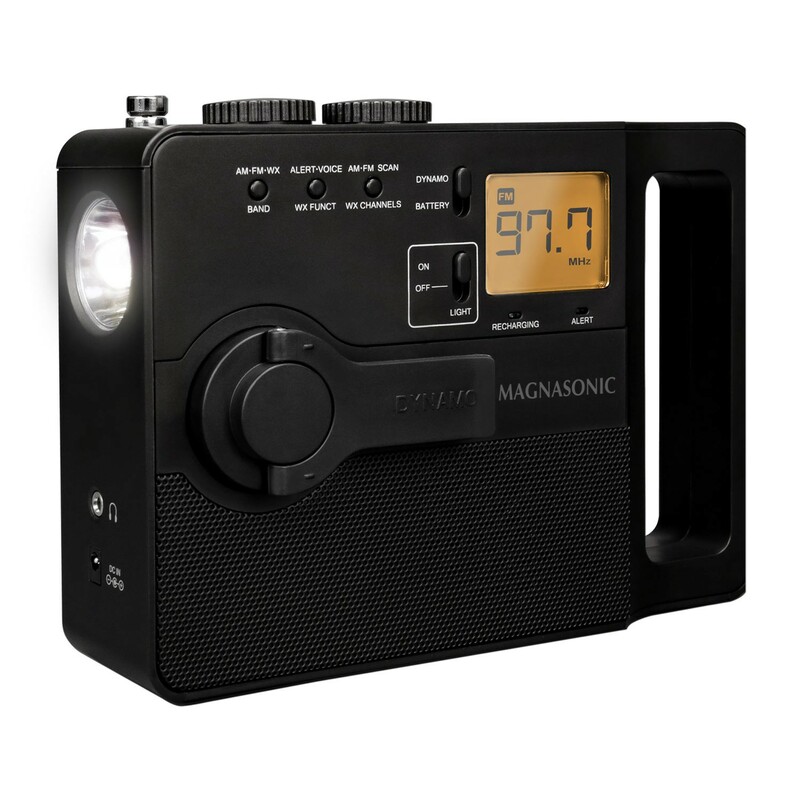 Stay safe with the Magnasonic Emergency Crank Radio. When you are stuck without electricity, generate power using the simple dynamo hand crank. 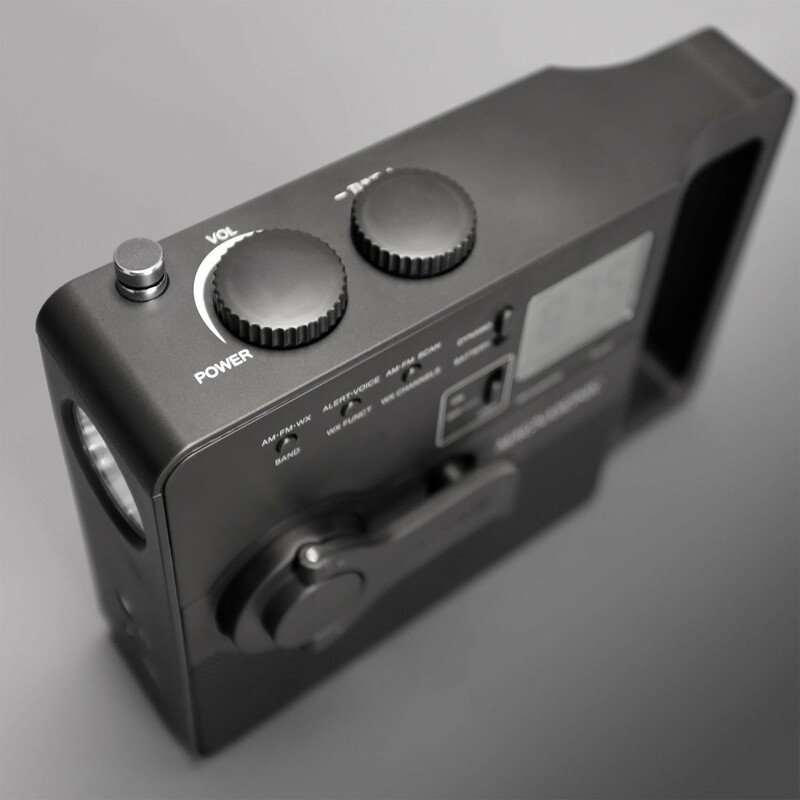 The built-in rechargeable battery doubles as backup power to charge your USB devices. The bright LED flashlight & backlit LCD display helps you see clearly in the dark. No electricity, no problem! The Magnasonic ER51 is self-powered and highly efficient. Turn the dynamo crank for only 90 seconds to get up to 10 minutes of radio use. 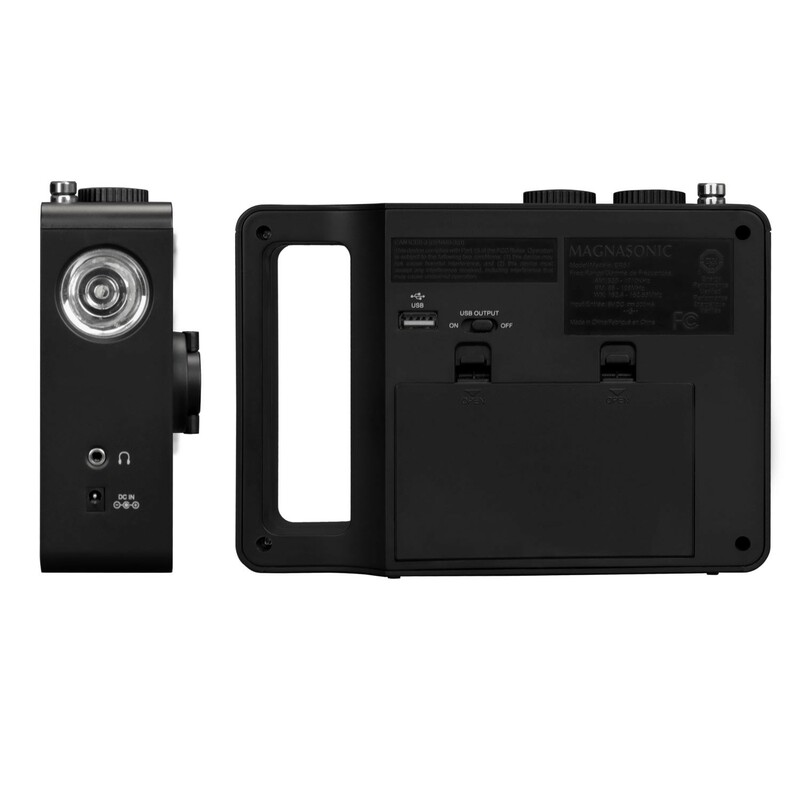 Multi-power options include a built-in rechargeable battery (300mAh), 3 x AA batteries, or use a 110V DC wall adapter (not included). 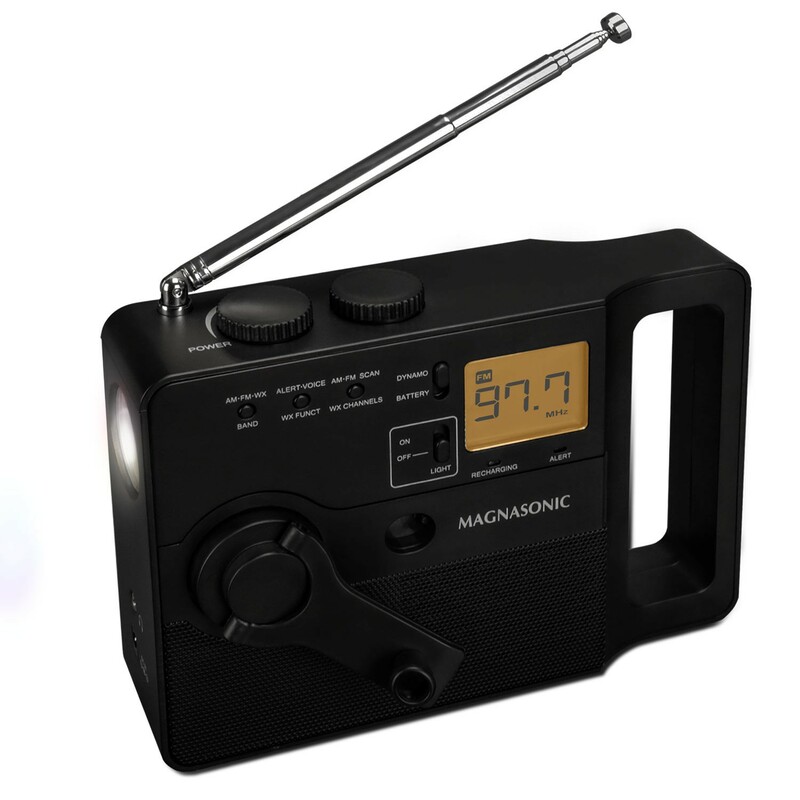 Whether there is a big storm approaching or you’re experiencing a power outage, the Magnasonic ER51 keeps you updated. 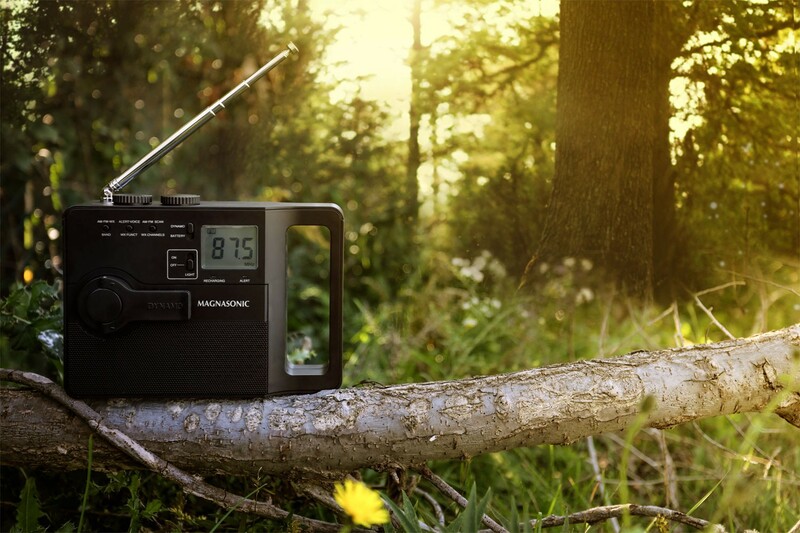 Enjoy excellent signal reception of AM/FM radio stations with the long-range antenna. For warnings, watches, forecasts, and other vital information tune into your local weather band channel 24 hours a day, 7 days a week. Revive your smartphone battery when you need to make an emergency call. The Magnasonic ER51 includes a standard 5V, 500mAh USB charging port which will provide renewable power to smartphones, tablets, & other electronic devices. Navigate your way to safety with the bright, white LED flashlight. The LCD display is also backlit so it is clear & easy to read, even in the dark. Its multiple functions & built-in handle make it perfect for emergencies & everyday use. Keep it in your car, RV, boat, disaster preparedness kit, or bring to your next camping trip with friends & family. 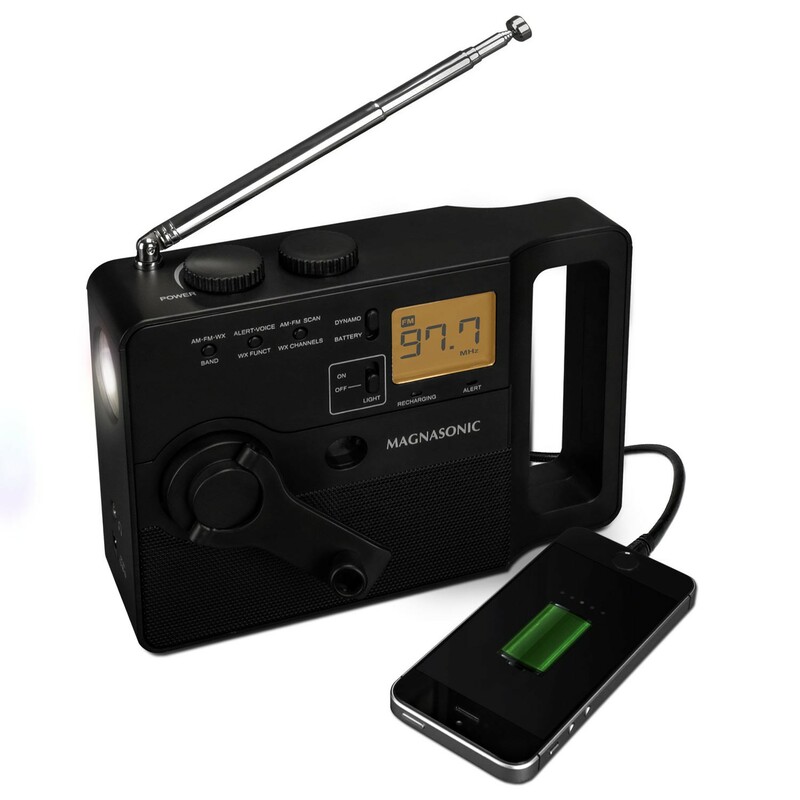 Dynamo crank, AM/FM/weather alert radio, USB charging port, LED flashlight, rechargeable battery, built-in handle, backlit LCD display, retractable antenna, headphone jack.